School started, both High School where I teach and Graduate School where I am picking up more Highly Qualified endorsements after my Masters, to teach wider and deeper. Writing lags just a tad. 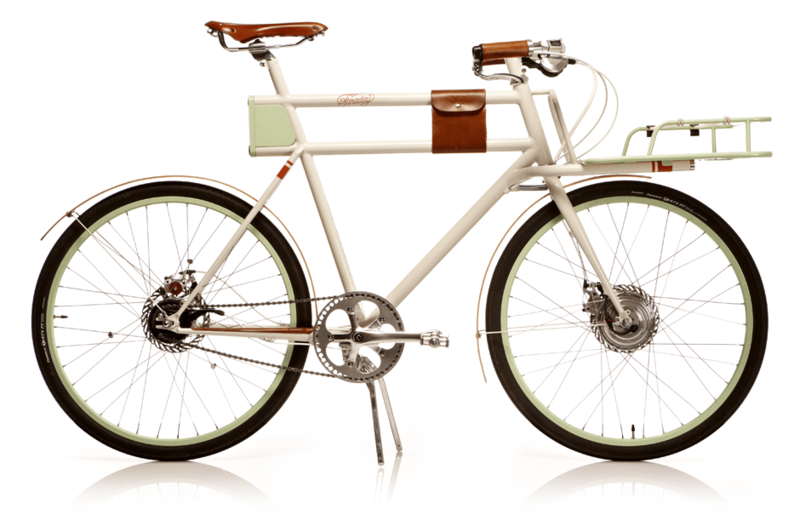 I am traveling this weekend and taking the LeMond with me, not the Rivendell. They are as dissimilar as one can explain. From the frame to the flaws and back again they have different souls and experiences. The Old Bike can’t go across the country anymore, my mechanic tells me, the frame has already cracked once. It has commuter pedals and fenders but a road bike heart when I get on it. I refuse to get sentimental about it. Part of why it travels with me is many bikes that go in the Westy return “altered” and not for the better. I know that I loaded it for the fun of it, whatever happens, as part of it contains a fragment of my biking soul. It is part of the link I share with my son, a link that will live beyond the life of the bike, a reason that explains the Brooks saddle remaining on it while a new one, quite needlessly, was purchased for the new bike. That bike,and that Brooks saddle, was the ride my son brought me home on. Whistle Workwear has become my new favorite Work Wear shopping store. I first saw this shirt on a younger working crew and purchased one for Peter to wear commuting in Chicago. I have since purchased them for a member of my Bike Commute Challenge Team who was in a bicycle accident last year so that she is easily spotted on the road. 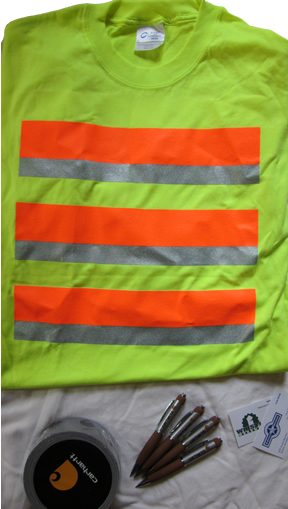 The stripes are actually reflective and as you should know by now, the lights are a small part of the safety and visibility equation, wear reflective clothing! I finally got one for myself and have been wearing it as a regular shirt, at least the hipsters are too shy to wear it, so I find it nice to have my own fashion statement. What makes the shirt work is that it isn’t a vest, it isn’t silly, it is just there and highly reflective. Drop in to Whistle Workwear, you are going to find this isn’t your Dad’s workwear store, this is a STORE, it carries stock, presents it well, and does great customer service. Oh, this shirt runs $13 and is a great value. Buy a couple, or buy the bulky Highly Reflective Vest (they sell those too). 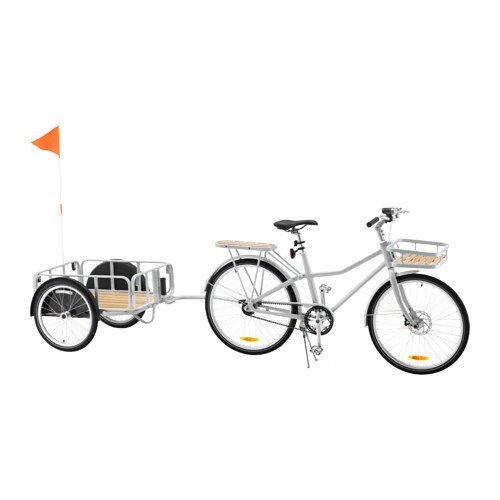 I was zipping down Naito Parkway the other day and what should appear, but a B-Line (sustainable urban delivery) bike serving up Dave’s Killer Bread (DKB). Way to go guys!